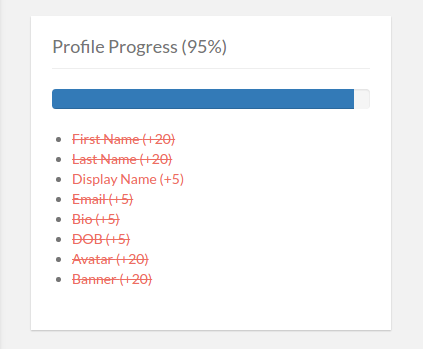 Profile Progress addon for UsersWP. This addons lets you to show profile completion progress bar via a widget. then the profile completion percentage will increase until complete and then disappear.